and back layer of my paper. 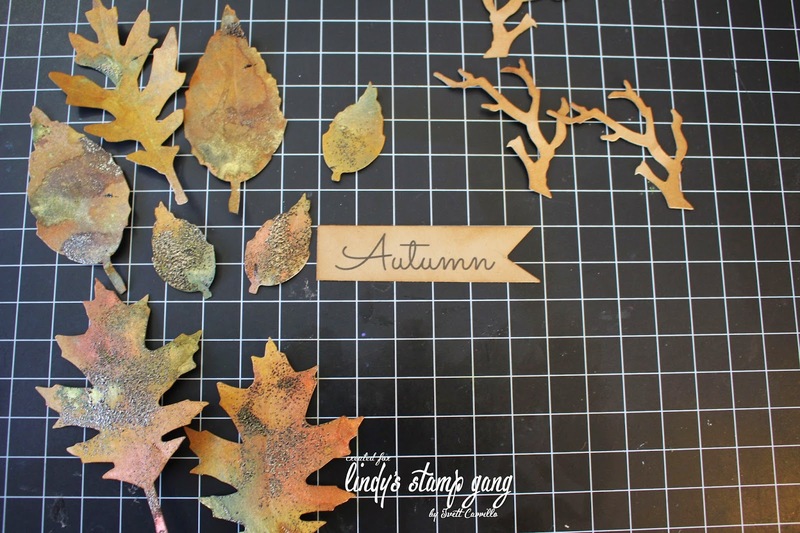 You will find a video tutorial on how I put it together over on the Lindy’s Stamp Gang Channel. As always thank you for stopping by, and I hope to have inspired you! 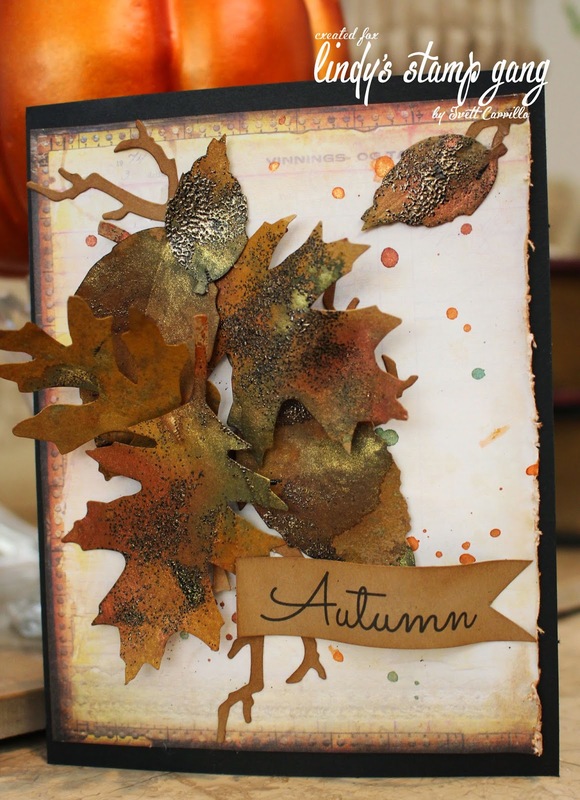 This card is gorgeous and I love how you did the leaves! Thanks so much for sharing! 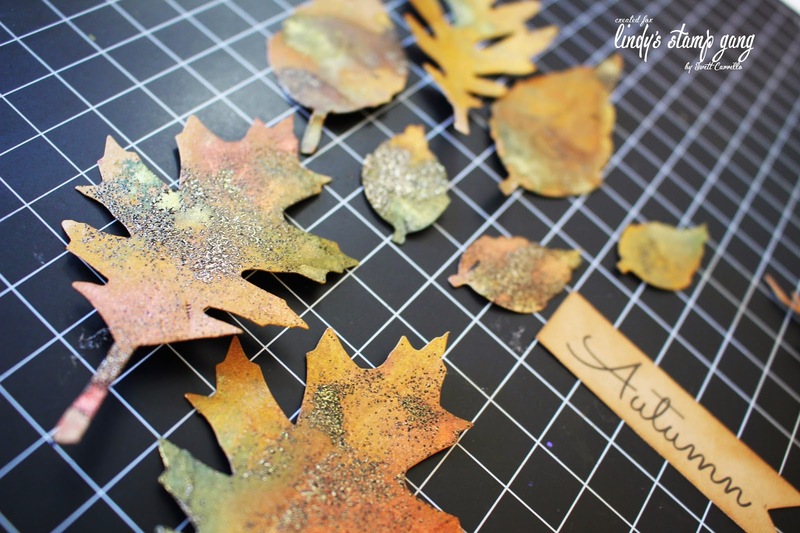 Love this Fall card Ivett!